The lectio magitralis of Romano Prodi in Moscow on the 17. March 2016, organised by the journal International Affairs, was one of those events that will be remembered for a long time to come by those who attended and had the chance to meet the former European Commission President and two time Italian Prime Minister. Prodi underlined that his openness was due to the fact that he is going through one of the most interesting phases of his life. He still has the benefit of observing world affairs from a privileged position that allows him to follow them closely. However he is no longer bound by the constraints and weight of political responsibilities – "I can now conduct research, write and speak freely” – he concluded with some visible satisfaction. Below is list of key points from his speech that attracted the greatest attention from those present. For Prodi the migrant crisis threatens to shake the very foundations of the European Union, as it is an emergency that profoundly affects Europe’s people rather than just its governments. From this perspective – Europe’s inability to speak with one voice might fatally affect the political future of the EU -- even more than the eventuality of a "Brexit”, which is the other imminent deadline watched with concern by Bruxelles. Surprisingly strong has been Prodi’s statement that by controlling the flow of migrants to Europe - Turkey de facto owns a weapon that is just as potent as a nuclear bomb. Accordingly, Ankara’s strategy in leading the negotiations with the EU on the repatriation policies of the migrants passing through Turkey is purely a tactical one, designed to attract the highest possible level of political attention in Europe. Prodi reminded that the use of migration as a weapon is not a new phenomenon. He revealed that on several occasions, Muammar Gaddafi personally threatened him that he would send hundreds of thousands of migrants to Europe. The stabilisation of the Middle East and the defeat of ISIS is only possible with a comprehensive global agreement and the development of a common position between Russia and the United States. This is also the only possible pre-requisite for a full and sustainable peace process in the region. The current international situation, where big players are globally blackmailed by small players who have interest in creating and maintaining states of confusion and instability, is simply unacceptable and must be overcome. Prodi again repeated his assessment that Russia’s military intervention in Syria has put a concrete discussion of a political solution for the region back on the agenda. "Despite the sanctions following the Ukrainian crisis and the connected internal economic crisis - I see Russia still holding all the important cards in the larger international game. 3.) Libya – the next Syria? The events in Libya are no surprise for Prodi, as far as they concern the flow of migrants. He underlined that it was predictable that the collapse of the Libyan state and the country’s descent into chaos would inevitably increase the influx of illegal migrants to Europe. What is unexpected is the fact that this came together with the development of new forms of terrorism which were previously eradicated inside that country. This has inevitably further complicated any international intervention plan for a stabilizing Libya. 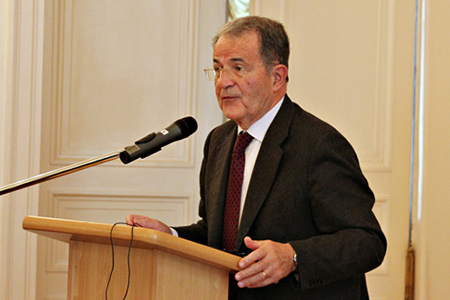 Prodi warned that terrorism is a mobile phenomenon. Without proper intervention, it will soon move beyond Libya, into the Sahel region, and on to the Sinai. 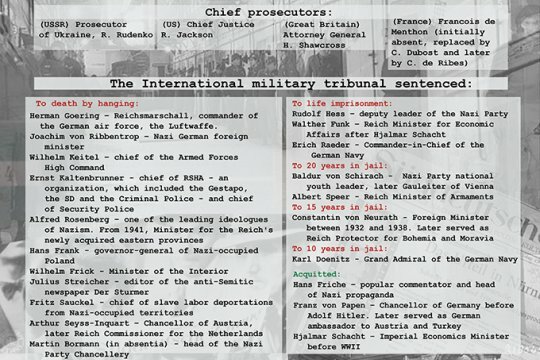 Terrorism –he added - is marking one of the strangest pages of our contemporary history. As it affects all key players, none excluded, it can also become a common platform of interest and values that has been missing and that is needed to re-establish full mutual trust and cooperation between all responsible powers. Regarding the possibility of military interventions in Libya, there is a big risk that things would get much worse than they already are now. From a global point of view, it is enough to recall the outcomes of previous military interventions in Iraq, Afghanistan, Syria – not to mention the earlier campaign in Libya as well. Also the situation might become extremely complicated if a military intervention would not assure the equal and balanced participation of local tribes, which are the most fundamental part of what remains of the Libyan political system. With rare frankness Prodi acknowledged that of the three countries that had a leading role in influencing EU policies during the time of his EC presidency, it is Germany that is the uncontested leader of the union today; while France and the UK have been marginalised, mainly as a result of wrong decisions taken in Paris and London. He did not criticise Germany for having accepted this position as a consequence of others’ weaknesses. But Prodi has clearly outlined that a Union dominated by Berlin might, in the long run, create a position difficult for the union as a whole to sustain. Regarding the possibility of a "Brexit” from the EU – Prodi underlined the catastrophic tactical decision of the UK leadership to launch a referendum on such a crucial question, without considering the impact that this would have on Britain’s political position on all EU matters in the meanwhile. For Prodi, Russia and the EU are obliged to have good and intense political relations. The alternative is an extremely dangerous situation that cannot produce any good for either side in the long run. He also stated that EU-Russia relations are at their lowest point since the end of the soviet period. He blamed the Ukraine crisis for this deterioration, repeating one of his well-known stands on the issue, namely that Ukraine is a natural bridge between Europe and Russia and that neither of the two powers can have exclusive influence over the country. Prodi reminded the audience that during his presidency the EU and Russia established strong cooperative relations. Under his leadership, EU enlargement to the East went forward with the direct involvement and endorsement of Moscow, which played a very positive and constructive role in process. In other words, countries such as the Baltic Republics could have never joined the EU without getting a Russian green light first. "At that time we had constant exchange of information with Moscow” – he said in what has been one of the most interesting statements of the whole speech. He recalled the agreement between Russia and the EU on the four common areas of cooperation signed in 2003 as a clear example of the fact that good relations already existed and that they should be used as a model for the future normalisation of Russian-European relations. He considers it a nonsensical that relations are currently stuck on the issue of the VISA regime; an instrument which is counter-productive to the development of good relations and a discussion that is kept alive artificially by those who oppose a deepening of the EU-Russia dialogue and closer cooperation on more substantive issues. According to Prodi, the real problem has never been EU enlargement but rather NATO’s eastward expansion – a short but powerful statement that confirms the difficult and competitive relations that exist between the EU and NATO, particularly on the issue of how to deal with Eastern Europe.
 ) On the history of the European Union see: Wim F.V. Vanthoor, A chronological history of the European Union : 1946-1998, Cheltenham \etc.! : E. Elgar, c1999; P. Thody, An historical introduction to the European union, London \etc.! : Routledge, 1997.
 ) About the Arab migration see: International Organization for Migration, League of Arab States, Arab migration in a globalized world, Geneva : IOM, 2004; O. Winckler, Arab political demography : population growth, labor migration and natalist policies, Brighton [etc.] : Sussex academic press, 2009; M. Tazzioli, Spaces of governmentality : autonomous migration and the arab uprisings, London - New York : Rowman & Littlefield, 2015.
 ) On EU-Russia relations see: Perspectives on Eu-Russia relations, edited by Debra Johnson and Paul Robinson, London : Routledge, 2005; G. Nicchia, The energy issue in the EU-Russia relations, Napoli : Editoriale Scientifica, ; T. Gomart, Eu-Russia relations : toward a way out of depression, Washington, DC : Center for strategic & international studies, 2008.
 ) On the NATO enlargement see: The future of NATO : enlargement, Russia, and european security, edited by Charles Philippe David and Jacques Levesque, Montreal & Kingston [etc.] : McGill Queen's University press, 1999. 621: 30 seconds to mars. Romano Prodi 3.0 The third (and best) phase of Prodi’s political life30 March 2016: Romano Prodi 3.0 The third (and best) phase of Prodi’s political life! лучшие комедии. Romano Prodi 3.0 The third (and best) phase of Prodi’s political life.